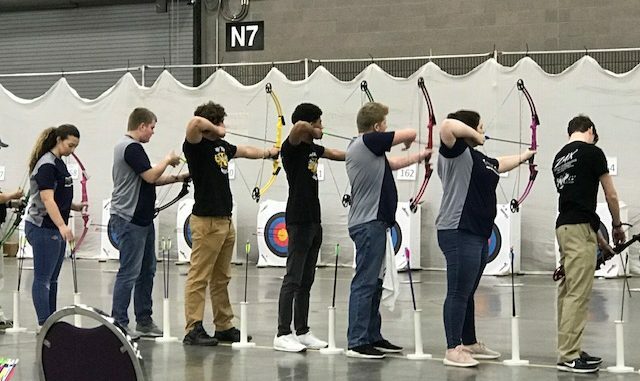 Knox County’s Archery Teams have aimed high this season to advance to the Kentucky NASP State Championship being held March 15 and 16 at the Kentucky Exposition Center in Louisville. The two day tournament features middle and high school archery teams across the state competing for the championship title. Final standings from the tournament will be available on Saturday, March 16. Photos from Knox Central are available in the kcps.photos gallery.